Claude Steele Kinder joined the Malayan police in Singapore in 1920. After the Japanese invasion he was interned in Changi until the end of the war. After the war Claude, known to his family and friends as ‘Bimbo’, returned to the Malayan police. 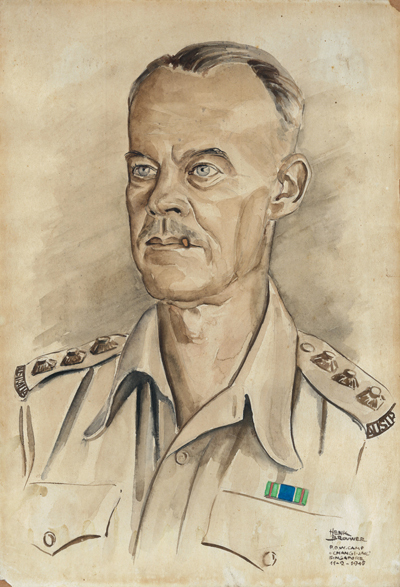 He was officer-in-charge of the Criminal Investigation Department when he married Helen Latta, an Australian nurse who had been interned in Sime Road Prison, the former headquarters of the British Army, used by the Japanese as an internment camp. When they retired Claude Kinder and his wife lived in Dee Why, Sydney, Australia.